Some trends are, well, you know trendy. In terms of jewelry, that could mean jewels for extra ear piercings, twinkle for your toes and so on. Other jewelry trends are twists on a classic idea. 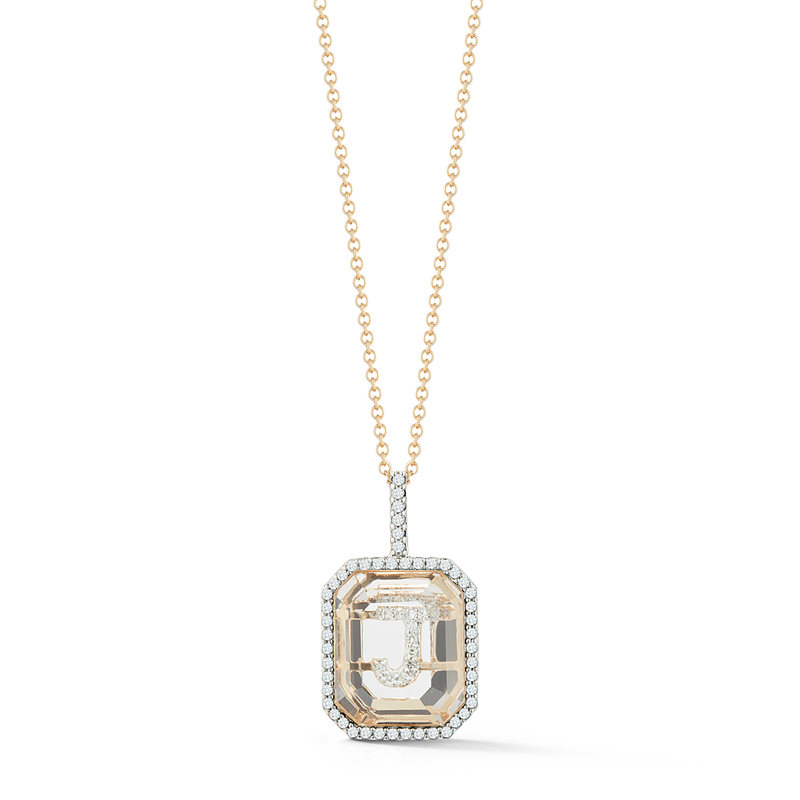 The new initial pendant necklaces fall squarely in the latter category. 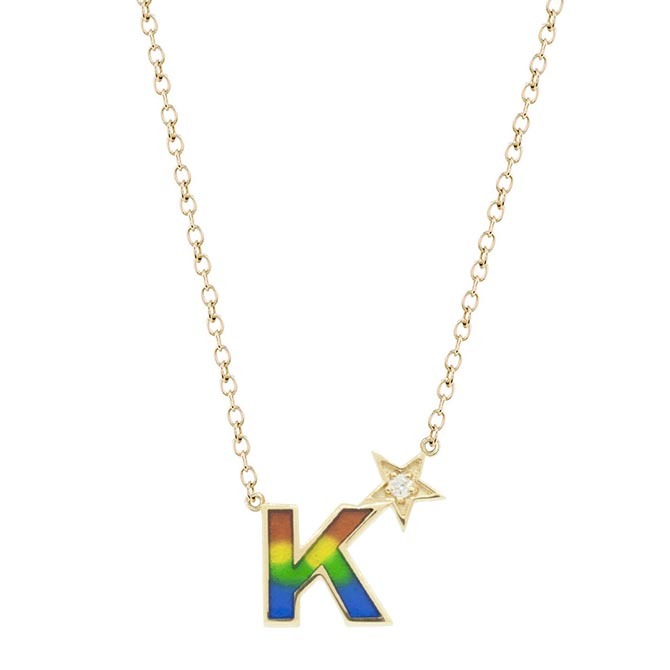 Wearing a letter from your own name or that of a loved one has been around for eons. 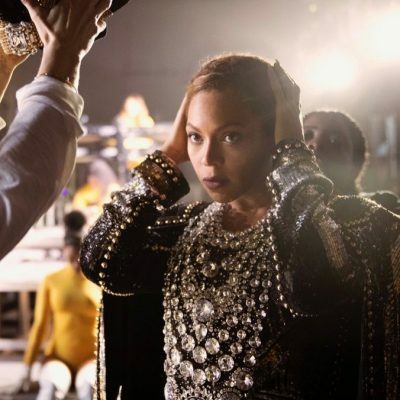 Now designers are creating amazing updates on the look. The styles range from diamond deluxe to rainbow enamel. 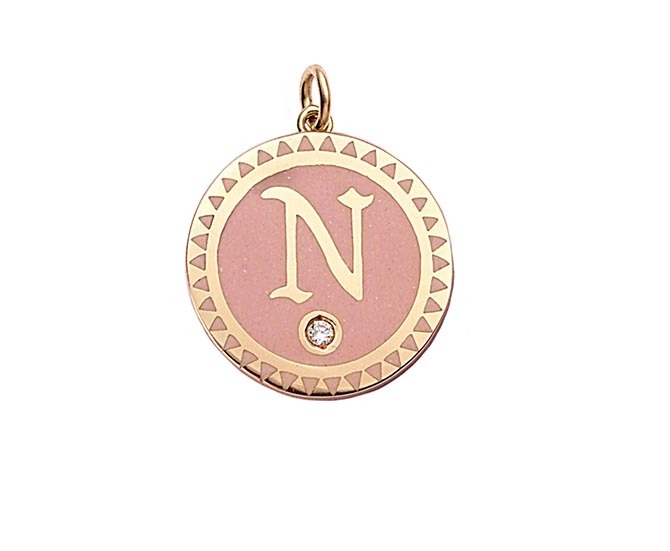 If you want your initial writ large, consider one of Verdura’s Small Caps Initial Pendant Necklaces. 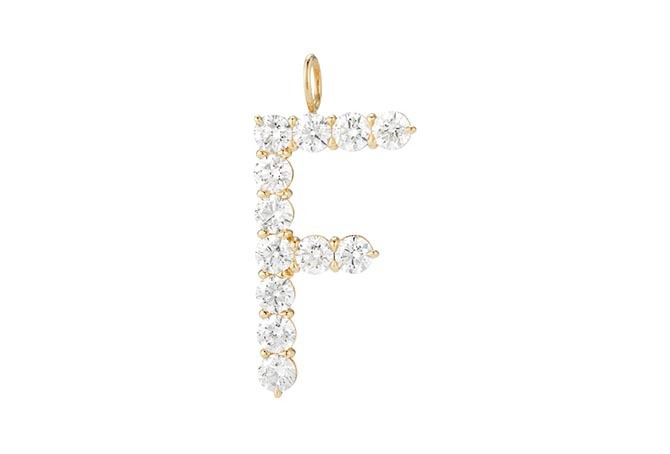 Each of the 2/3″ letters is composed of diamonds and platinum plus a little gold rope accent. The new collection is based on an archival drawing of the alphabet by the late great designer of the house Fulco Di Verdura. Stephen Webster’s new initial pendant necklace collection is inspired by his life long-love of sea creatures. 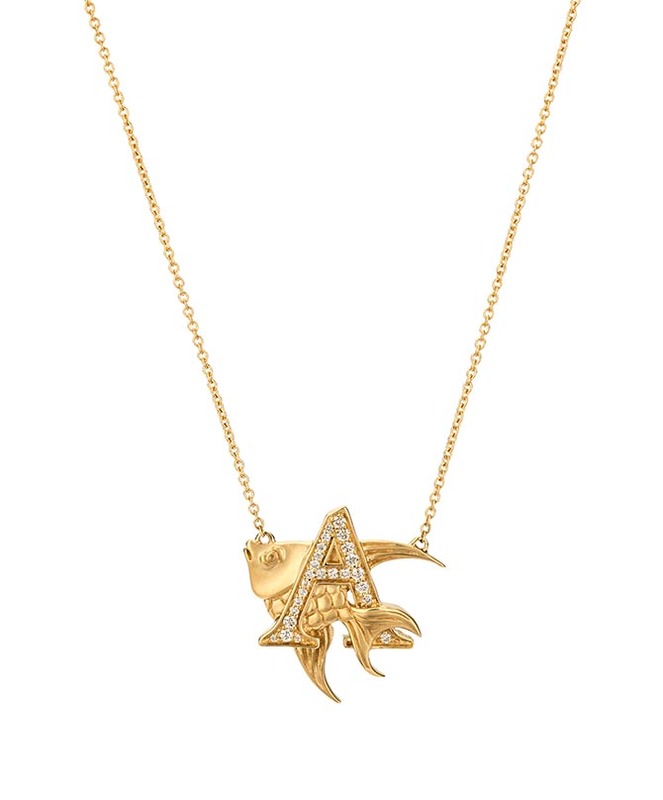 The Fish Tales collection of 26 small gold and diamond initial pendants depicts an animal swimming around the letter with which their name begins. 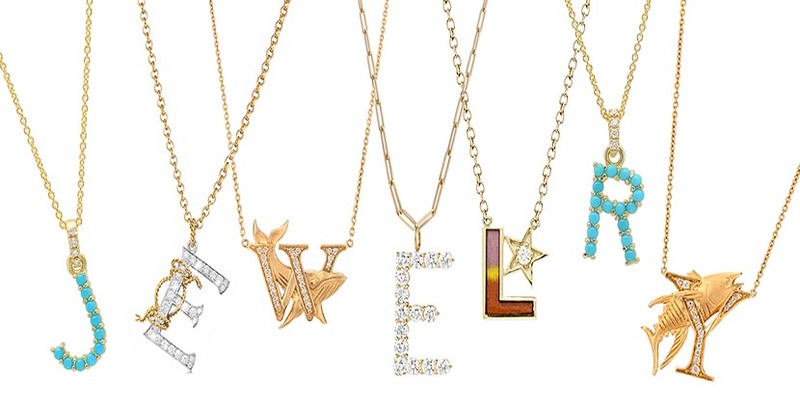 Jennifer Meyer is kind of a Queen in the world of initial pendants. 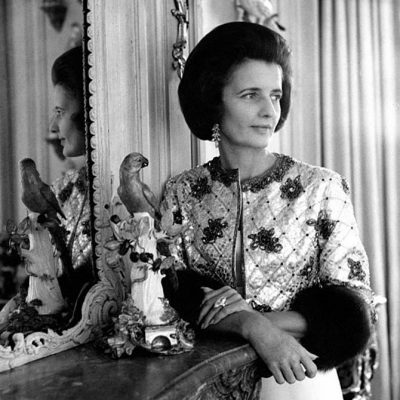 She has always had them in her collection and her signature gold discs with initials have been worn by just about every A-list actress in Hollywood. 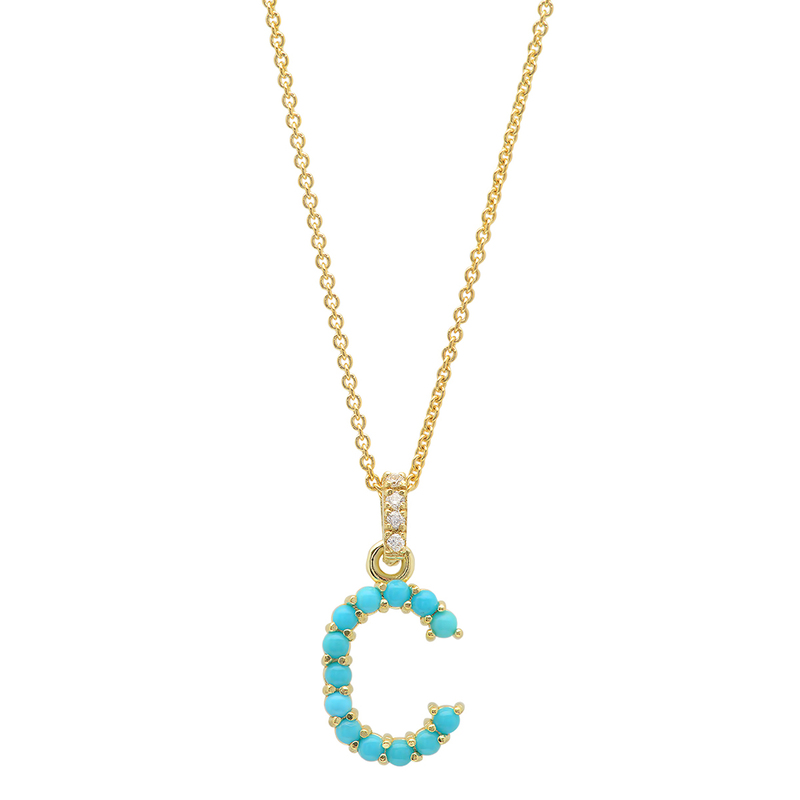 The designer’s turquoise initial pendants, combine her favorite gem with diamonds and gold. Jennifer Fisher has any number of initial styles in her collection. Dog tags, little hearts and stars can all be found with initials. She also produces an alphabet in cool gothic script. Jennifer has never, however, created anything quite as luxurious as her new block letter initials. The approximately 1″-high letters are set with stunning round diamonds that add up to over 2-carats of gems. 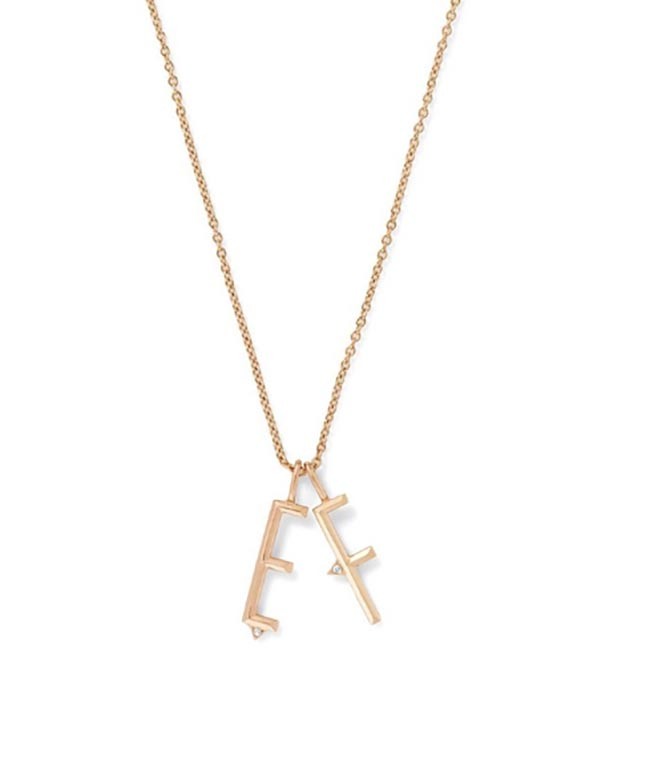 Eva Fehren’s initials are as edgy as they are sweet. The spice is added to the bold block letters with champagne diamond studded thorn elements. Rose gold infuses a touch of romance and millennial style. The letters can be ordered with Eva’s chic custom chain. Dezso designer Sara Beltran put her beachy spin on the initial pendant idea. She had onyx carved into the shape of cowry shells for the backdrop of her alphabet. The gold letters are an other worldly sort of formal font. 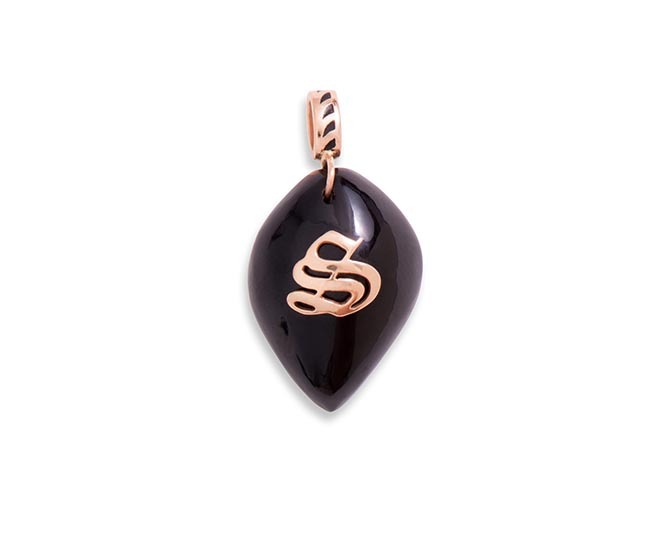 The bail on each pendant shows the designer’s signature shark tooth motif. Andrea Fohrman’s collection has rainbows galore. Now she has taken the optimistic theme and applied it to a collection of initial pendants. Each of the gold letters has a little diamond star accent. Think of it as the proverbial pot of gold at the end of the the rainbow. Beth Bugdaycay’s Foundrae collection is all about personalization. Naturally, there are a number of initial designs in the collection. If you are looking for rare colors of enamel she has initials in a range of hues from blush pink to fire engine red. 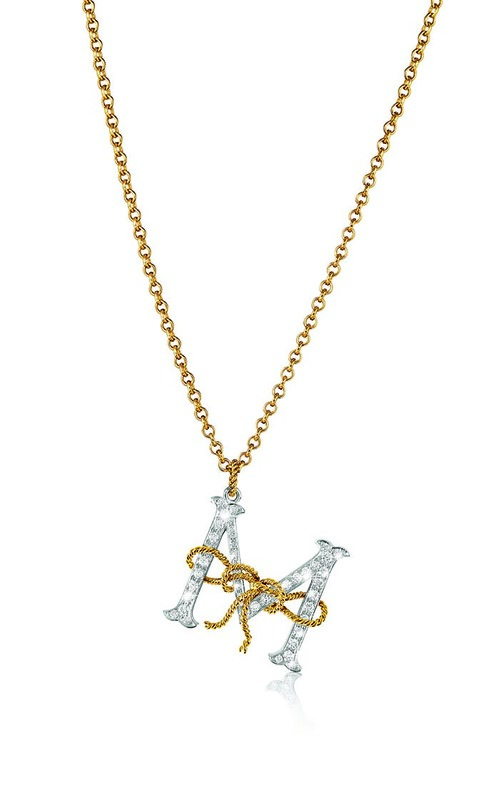 Mateo’s Secret Initial collection features gold letters shining under various semiprecious stones including white and blue topaz, Rose de France and lemon quartz.